DIRECT FROM LOURDES - Elegant Fidei 3 Decade Coral Rosary�Necklace. 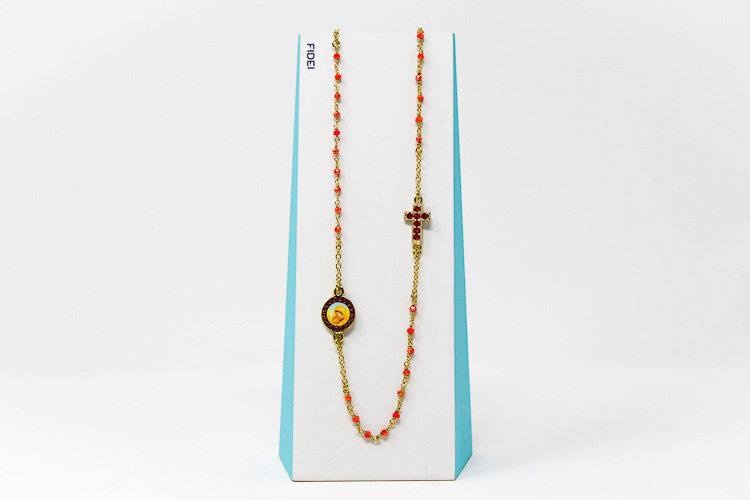 Elegant Fidei 3 Decade Coral Rosary�Necklace. 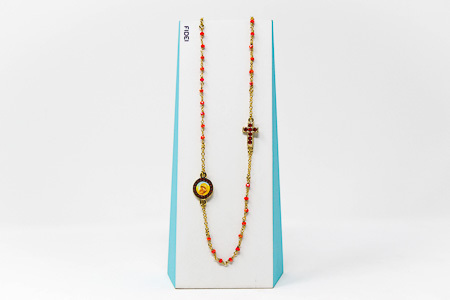 Elegant Fidei gold pated rosary necklace with a clasp and coral crystal beads. The round medal depicts Mary and Jesus with encrusted red strass crystals surrounding the medal. The cross is also encrusted with strass crystals. Crystal beads measure 2 mm. Length of necklace is 26 cm 10.2 inches closed and 52 cm 20.4 inches open approx..